If you any questions or if you would like more information about Timbuktu Restaurant, please fill out and submit the following form. Thank you. 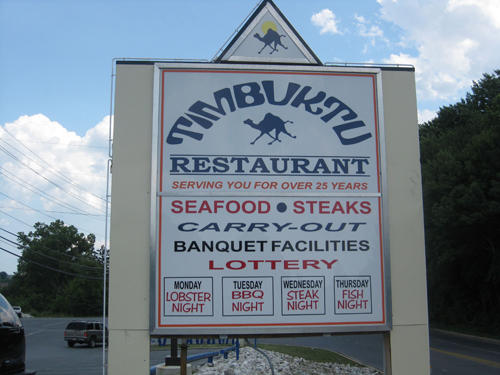 Conveniently located to both Washington DC and Baltimore, Timbuktu Restaurant is located 1/2 mile West of the Balto-Wash Pkwy. at 1726 Dorsey Road in Hanover Maryland.